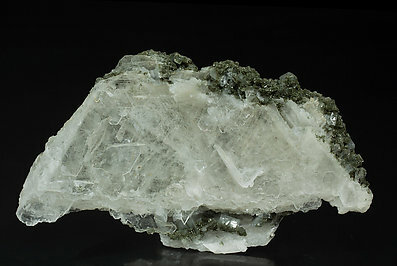 A floater with parallel growths of Calcite crystals, with a lot of extraordinarily flat oriented faces (this form is well known as “papierspat”). They are with small well defined Orthoclase (adularia) crystals and chlorite coatings. 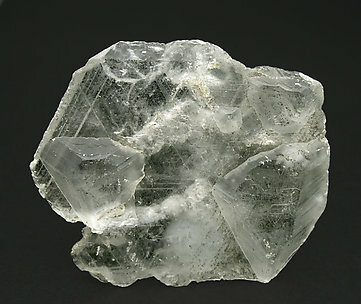 Totally flattened Calcite crystal (“papierspat”) with pyramid shape and very marked striations. The specimen is from a classic locality for this kind of Calcite crystal.